People face a wide range of problems when using or deploying Kubernetes. While some challenges are unique to Kubernetes, many others are typical of the growing pains seen with the adoption of many technologies. 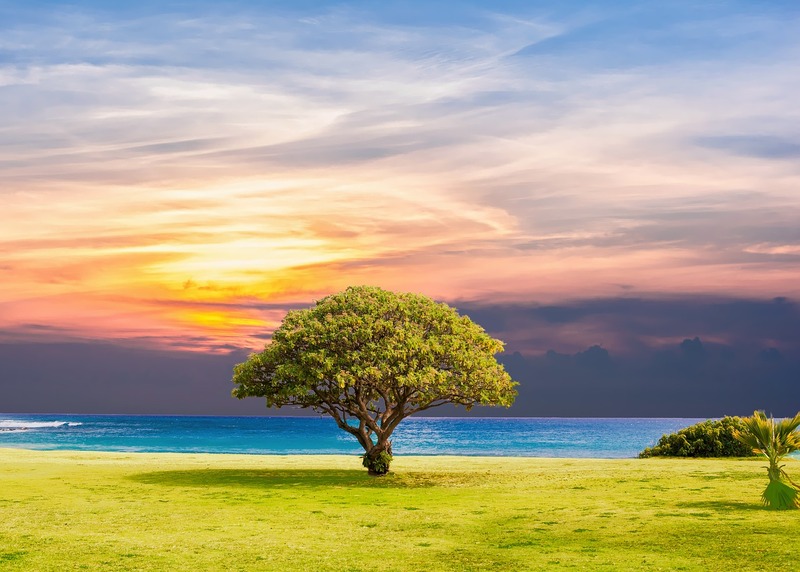 “The State of the Kubernetes Ecosystem” reported on both the importance of different criteria in picking a container orchestration solution and the major factors inhibiting the adoption of Kubernetes. Scaling was more likely to be an essential requirement for an orchestration solution compared to criteria such as security or resource optimization. Among the biggest challenges mentioned was the fact that using Kubernetes often necessitated changes in the roles or responsibilities of several parts of the IT organization. The most recent Cloud Native Computing Foundation (CNCF) survey asked about the challenges people face in using or deploying containers in general. 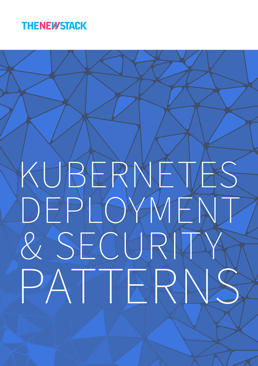 In our own independent analysis of the data, published in “Kubernetes Deployment & Security Patterns,” we took those answers and narrowed the focus to just organizations using Kubernetes to manage containers. This provides a way to illustrate the issues facing Kubernetes users. The results show that complexity — a common criticism of Kubernetes — is only the fifth most cited challenge. In the lead are infrastructure-related challenges. 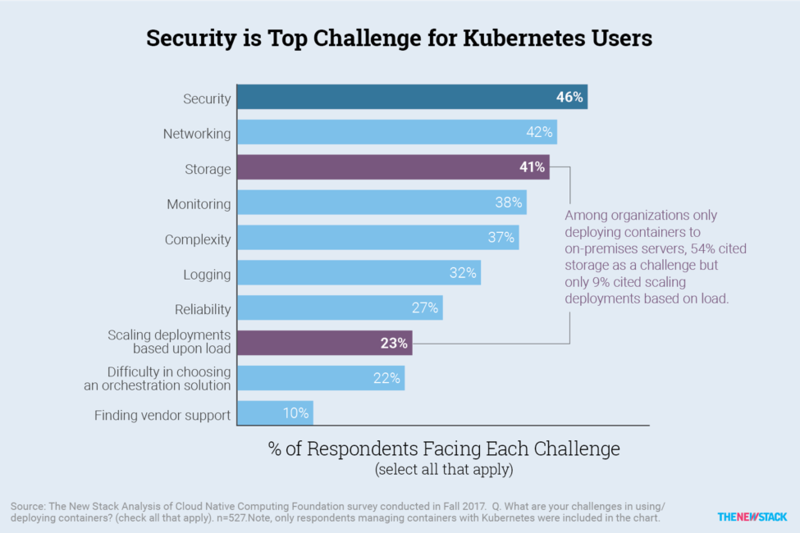 Security was cited by 46 percent of Kubernetes users, with networking and storage coming in second and third place. Alcide delivers a network security platform designed for any combination of container, VM and bare metal data centers operated by multiple orchestration systems. Alcide empowers DevOps, Security and Engineering teams with simplified and autonomous control to manage and secure the evolving data center and hybrid cloud, at any scale. Twenty-three percent said scaling deployments based on load is a challenge. This likely means that many requirements have been met, with Kubernetes actually helping with scaling as it is supposed to do. At the bottom of the list, 10 percent mentioned problems getting vendor support. One reason there are few complaints about vendor support for Kubernetes is that many deployments are not dependent on a vendor’s distribution. Looking forward, there is a high likelihood that high-quality services will be available because the CNCF has recently introduced the Kubernetes Certified Service Provider program to guarantee that service providers meet a certain level of competence. More than 40 percent say that security, networking and storage are container-related challenges. As in other studies, we found that larger organizations were more likely to cite many issues as challenges they care about. For example, 55 percent of organizations with 1,000 or more employees said security is a challenge, while only 39 percent of organizations with fewer than 100 employees said the same. In this case, as well as with other categories like reliability, it is likely that large enterprises’ needs are different than those at smaller organizations. In other areas, such as networking, it is possible that the size and breadth of the IT infrastructure (bandwidth and number of sites) present Kubernetes with more unique challenges as compared to just the number of containers being used. In fact, among organizations with six or more clusters, the percentage citing networking as a challenge jumped from 42 to 53 percent. A few challenges did not fit the aforementioned pattern. For storage, an explanation may be that the technology “issues” are not based on scalability. In the case of monitoring, midsize companies are more likely to face challenges. As we described previously in the article Rethinking Monitoring for Container Operations, smaller organizations generally have less need to create a formal monitoring process, while larger ones have the resources to create a more robust, customized monitoring system. Stuck in the middle are those organizations with 100 to 999 employees. 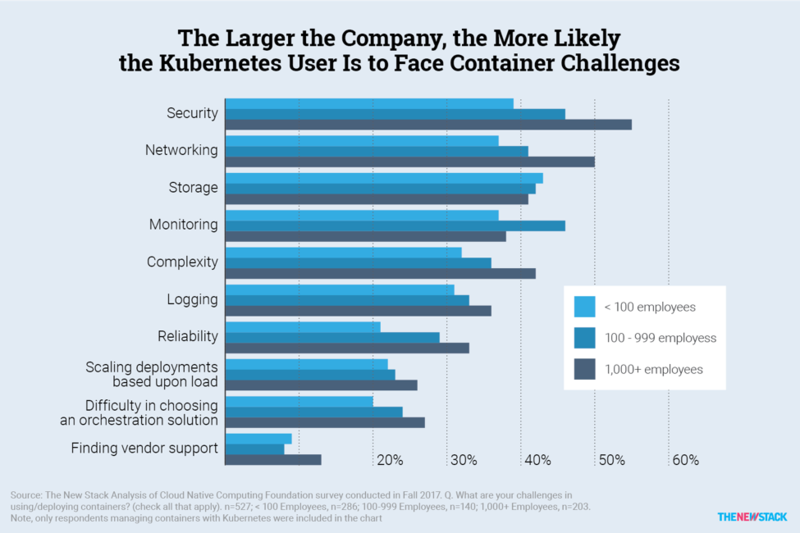 Security and networking are more likely to be cited as a container-related challenge at organizations with 1,000 or more employees. Another factor that affects an organization’s container-related challenges is whether or not they are exclusively deploying containers to a public cloud or to on-premises servers. Among those that just use on-premises servers for containers, storage was the most common challenge. This may be because these organizations manage their own storage infrastructure, possibly even handled by a separate IT team. 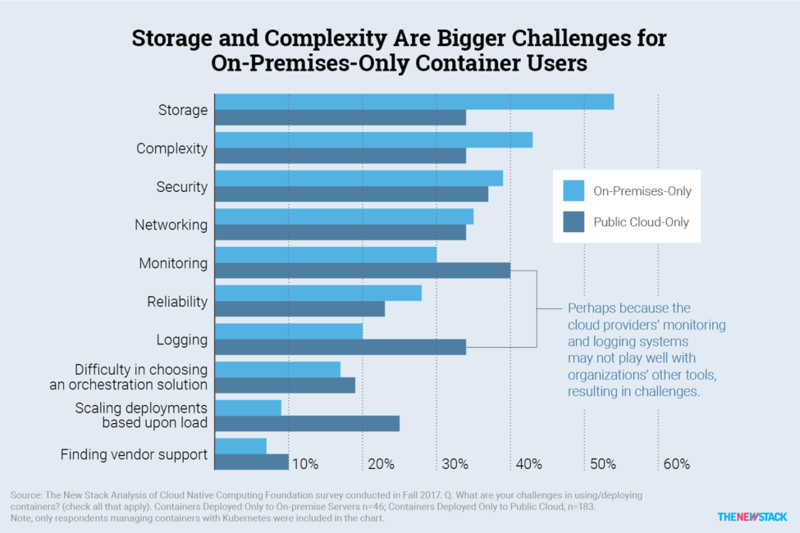 Fifty-four percent of on-premises-only container users face storage challenges compared to 34 percent of public cloud-only organizations. For organizations only using containers on a public cloud, monitoring and logging were more often cited as a challenge. Though cloud providers are supposed to enable scalability, organizations only using on-premises servers for containers were significantly less likely to say scaling deployments is a challenge. The CNCF survey also asked about several types of cloud-native infrastructure and tools, some of which are specifically marketed as working well with Kubernetes. The next article in this series will discuss the most common tools that Kubernetes users are employing to address the challenges they face.